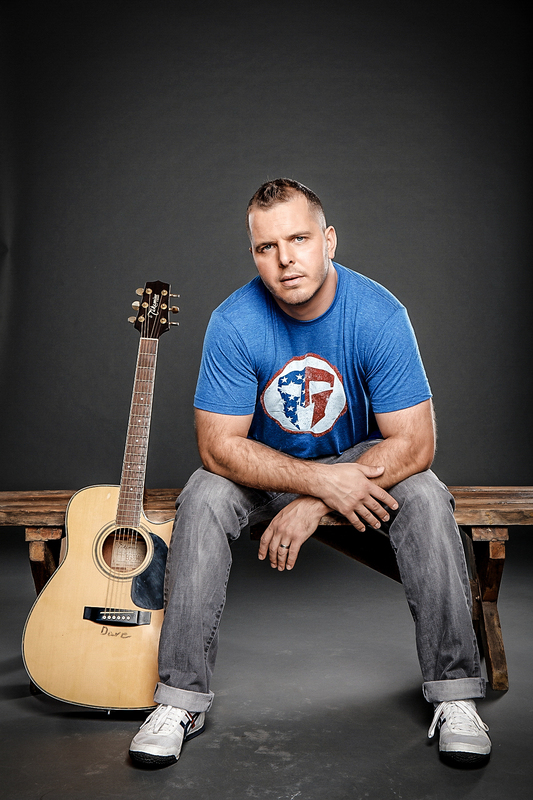 John Preston is an American singer-songwriter, firefighter and US Marine Corps veteran. 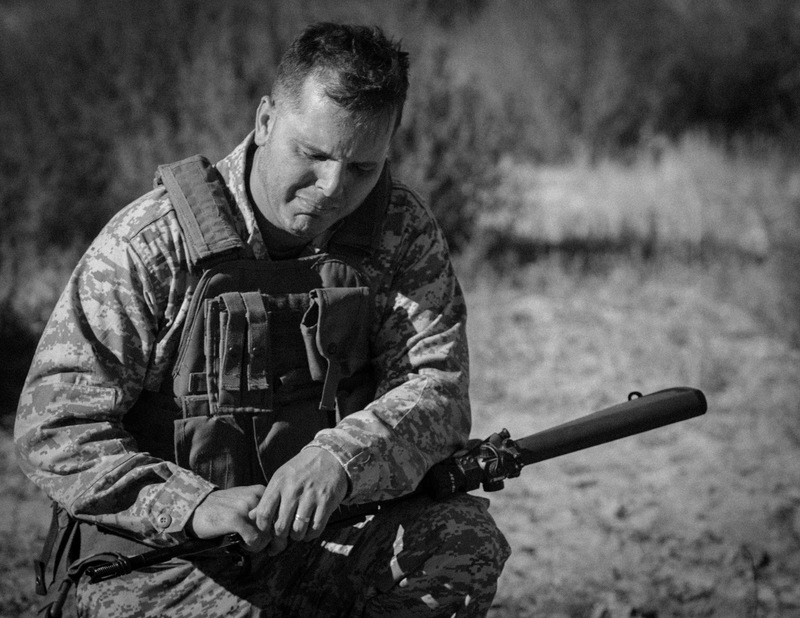 In this candid interview with our very own Davina Baynes, he talks of his childhood, military service and its after-effects on him personally and others, including close family members. He explains how his musical career started, how he creates his songs, his influences and inspirations and what music means to him. DB: You were raised on a farm in Kentucky. What was that like as a child and teenager? JP: It was amazing! As a child it was like living at a summer camp every day. We never had a ton of money but the land was on the Ohio river so there wasn’t much that needed to be spent in order to be a kid. I remember a lot of fishing with my dad and brothers as a little guy. As for the teenage years, I started working in tobacco at a pretty young age, so I gained a very good perspective of hard work and labor. We worked hard but also partied hard as well. It was common to have all the teenagers in town at a party in our field, burning a massive bonfire and causing trouble. The closest movie theatre was almost an hour’s drive so we found other ways to cut loose. DB: You joined the US Marine Corps and served in Iraq, was there a defining moment or realization that prompted you to sign up? You have said that there you saw and experienced things that you never expected to see or experience. How have those sights and experiences fed into your music? JP: I remember several moments at a young age that had set my path, far before actually joining. My father was a Marine and Vietnam veteran. When I was a kid, dad used to bring out his Purple Heart medal and show it to myself and my older brothers. It was always a goal that we would all become Marines and, as the prophecy predicted, we did. Myself, being the last of my brothers to join in 2000. There is plenty of my music that is about the actual experiences overseas. It is not all I write or sing about but it is a very major factor in who I am today, so it tends to bleed into a lot of my writing. Many of my songs also cover the complications of the American returning back to society after service. 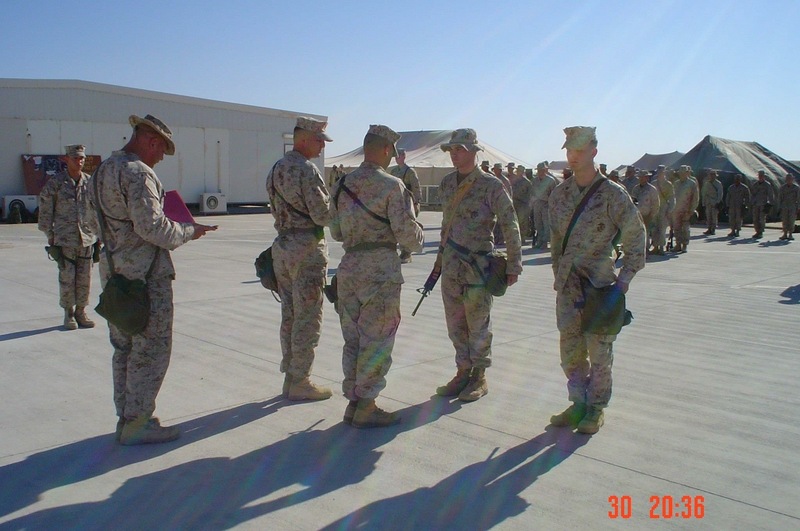 DB: Since leaving the US Marine Corps you have been very active in supporting other veterans with PTSD and other damaging results of their combat service. Can you explain why this work has been, and still is, so important to you? JP: The “has been” and “still is” are both very different answers. I began this journey with my heart set on saving lives. My goal was to bring awareness to the suffering veteran with all hopes to be a light in the darkness for my brothers and sisters-in-arms. I have a very close friend battling with addiction, that fueled my first campaign with ‘Your War is Over. I personally have battled with PTSD and alcohol abuse for 12 years of my life but have always chosen to keep charging forward. In January of this year my oldest brother lost his battle with post-traumatic stress and depression, and took his own life. Since then, my work and vision has been a bit different; I want the veteran that may be contemplating suicide, to understand the destruction it will leave behind, and the many people around them they will destroy, if the choice is made. I am living in that wreckage right now, and will do all I can to assure other families don’t have to feel this pain. DB: While serving in Iraq you wrote and recorded the song ‘Good Good America’ and put together a video which went viral and gained a lot of external interest. Can you describe how this song and video came about and how you created them? How important was this particular song to you at the time and how do you view it now, looking back? JP: The song was inspired by Iraqi school children clapping and singing, ‘Good, Good, America’ while we were on a security patrol to open a new school. I personally, would have never been able to make the video myself but one of my Marines, Nick Hoffmann (Rick Mancrush to the podcast world), thought we had the chance to do something great and he was so accurate with his assumption. The song itself was a battle of east and west and is still a relevant topic in our current foreign policy. It was also a great opportunity to highlight the good that our Marines were doing overseas. The song now means the world to me because it was the song that started it all, and was written in one of the most intense parts of my life. DB: The song ‘This is War’, on your album ‘Your War is Over’, struck me as having a big contrast between the lyrics and the musical style. Was that contrast a deliberate decision on your part? How did this album came about? JP: I wouldn’t call it deliberate but it was how it came out, for sure. This was written right as ISIS had just surged through Syria and Iraq, and had been making several threats to the American people and way of life. I wanted to show that us, the American veterans, had no fear of ISIS and I think making the song sound a bit cheeky gave it that feel of marching forward fearlessly. The album itself was the many views of an American veteran: from our time in, to the chip on our shoulder post-war, to our battles with PTSD and more. DB: You have said that the song ‘Day to Night’, which is one track on the EP of the same name, wrote itself. This clearly is a very special song for you and has very powerful lyrics. Is that often the way with your songs or are some down to hard graft as much as inspiration? Can you describe to us the process of composing your songs? JP: If a song takes more than a couple hours to finish it usually means it wasn’t meant to be written. My process is an interesting one because there is no programmed method. Either I will come up with a tune first or a melody first. Either way, once that tune or melody magically pops in my head, it all moves very fast. I woke up in the middle of the night singing “Superman Falls” and ran to a guitar to find the chords for it. Once I have the chords and melody, I hit record on my phone and sing a few verses and choruses while playing and then, once I’ve done that, I write down the words. The first words I sing usually stick because they were straight from my heart. The longer it takes to write, the more it comes from my brain. The entire process can take between 20 minutes and 2 hours. If I don’t finish a song, I will rarely come back to it. DB: Your latest album ‘Superman Falls’ is due for release shortly. Could you share with us the types of songs and music it contains and how you went about getting it recorded and released? What does this album mean to you on a personal level and do you have a favourite track? What do you hope listeners will get from it? JP: We will actually be releasing ‘Superman Falls’ on a compilation album called ‘Battle Cry: Songs of America’s Heroes.’ The album is being released by Pacific Records and each artist will be donating 100% of our sales to help The Valkyrie Initiative- a non-profit organisation benefiting veterans and first responders battling PTSD. I’m actually really excited about this album, because all of us artists on the album are combat veterans, that have already worked incredibly hard to be where we are. Artists like Dave Bray of Madison Rising and the Scooter Brown Band, have already done so much for the veteran community, and now we are working together to be even louder. As far as my album, that will be released later in the year, it is an entire story that I wrote nearly three months after my brother’s suicide. It’s the story of before and after his death and not only the pain we have left, but perseverance through that pain. ‘Superman Falls’ may be the most marketable song I’ve ever written and I can’t stop listening to it. There is a moment in the song where a gun is fired and my heart sinks to my gut every time I hear it. The song is just so raw, real and emotional. DB: You are now a fire-fighter in California. How does this occupation compare with serving in the military or being on a farm? What are the similarities and differences? 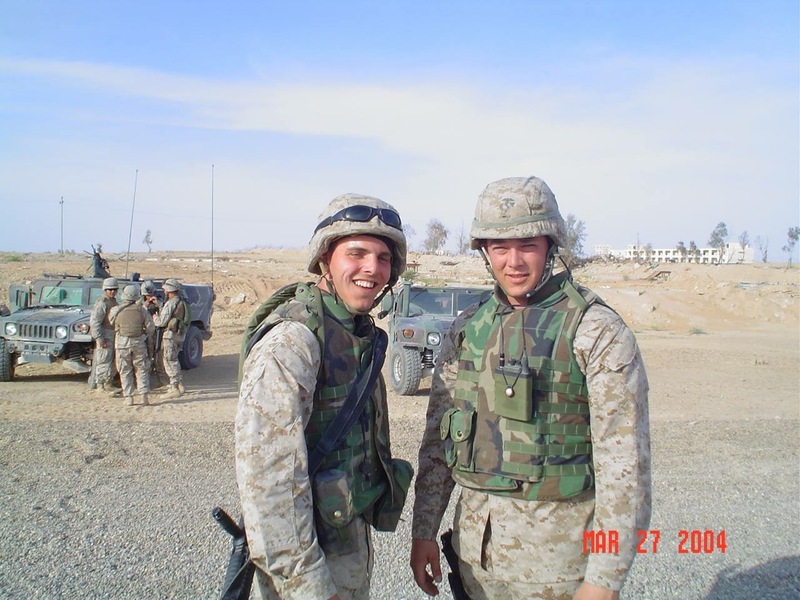 JP: The job is similar to the Marine Corps and was one of the major reasons I pursued the career. The comraderie in both worlds makes you feel constantly surrounded by family, even when you are not. The hard work is much like that of the farm work in my youth, but nothing can compare to how good it feels to be able to help others every day, and make somebody’s worst day a little better. DB: Do you perform live at the moment? If so, can you tell us what you get from live performance? If you play with a band can you tell us a bit about them? JP: We only play charity events and only when asked. I have never charged for a show and plan to continue that for any charity function. I love playing live but- full disclosure- I get major crowd anxiety. You would never know from watching, because I am a very energetic performer, but I am totally freaking out inside. Lol. Shane Roberts and Justin Hize, have been playing music with me since we were all Marines together and have been the best support I could imagine through this crazy journey. DB: I have seen you described as a ‘country singer.’ Do you agree with being labelled in this category? How would you describe your musical style? JP: Funny you ask… I have never released a song in the country genre and have always wondered why I have been called that in the past. Maybe patriotic music is just auto-categorized as country. Not sure, but not in this case. I have released in both the rock and alternative genres but I like to think of my music as rock ‘n’ roll, with an occasional pop ballad. I don’t think genre is ever in my mind when I’m writing. DB: What instruments do you play and have you ever had any formal musical training? Is there an instrument you don’t play that you would just love to learn to play? Is there an instrument, or instruments, that you especially love the sound of? 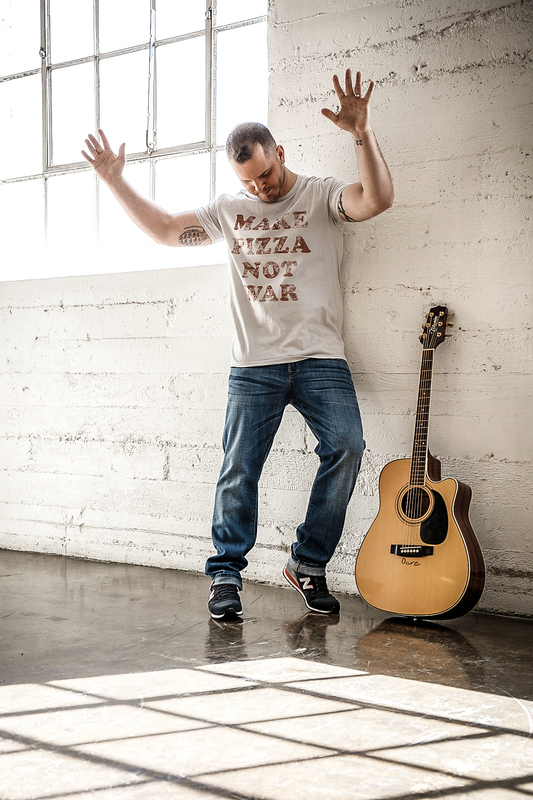 JP: I play guitar, piano, and ukulele but I was never formally taught. I played saxophone in sixth grade band but that is as far as formal training has gone. I taught myself to play all the instruments I know, with some help from friends here and there. I would love to play drums, just because I am literally lost behind the set and hope to one day actually find some rhythm. The piano for sure. Listening to Billy, Elton, or Ben Folds just feeds my soul. DB: I have seen you mention the late Tupac Shakur as someone who has influenced your music. What is it about his music and lyrics that particular appeals to you and influences your music? Who are your other musical influences? JP: Tupac was a revolutionary. He was able to unite people and make change through music, much like I intend to do myself. I listen to all the revolutionaries: Lennon, Joel, Garth Brooks. These were artists that didn’t play music to entertain, they played music to make change. DB: What are your earliest musical memories? Has music always been an important part of your life? JP: My earliest memories are of my father in my living room strumming his guitar and singing. He would sing, “Hang on sloopy” like it was going out of style! Since I realized I could play, it has been what I wanted to do. I guess, even before I knew I could, I was always singing and pretending I was playing in front of thousands. DB: What was the first record you ever bought? JP: I think it was the Beatles ‘Hard Day’s Night’, I was a Beatlemaniac from a very young age. I had found an old ‘Hey Jude’ ‘Revolution’ 45 and had worn it down by the time I was old enough to get my own album, so I started my Beatles collection with my first buy. DB: Which was the first song that had a real emotional impact for you – the one you first really ‘felt’? JP: Ha! I had fallen in and out of love so many times as a young fella so I couldn’t tell you a specific song but I loved ballads in the 80’s. DB: What genres of music do you, yourself, prefer listening to? Does the type of music you choose to listen to vary according to your mood? Are there any new artists that particularly excite you at the moment? JP: I don’t listen to any one artist, though I love 80’s pop and 90’s rock and country. I’m a big Taylor Swift fan because I think she has that ‘it’ factor that could make her revolutionary. DB: Do you have a guilty, listening pleasure? JP: Aqua ‘Barbie Girl’ or anything off that album really. Just don’t tell anyone. DB: Do you go to live gigs as a member of the audience? If so, who have you gone to see and what was the best live show you have ever seen? JP: Not a big love show guy anymore because, as I said, crowds creep me out but Garth Brooks at the Wynn made me cry several times. He is such a show to see!!! DB: If you were on a solo road trip what tracks would you just have to have on your playlist? JP: Anything Doobie Brothers gets me rollin’! ‘What a Fool Believes’ or ‘China Grove’. JP: Yes. Yes is my favourite word and means we are moving forward. JP: It’s not a matter of what I would do but rather how I would feel. I want an entire day without feeling anger, fear, or anxiety. I would love a day that just feels good and positive. We all should want that. DB: I cannot possibly live without…? Great interview John, keep on keeping on. You have come so far and your music is far reaching. My absolute respect to you and your fellow Vets. You are doing an amazing job.